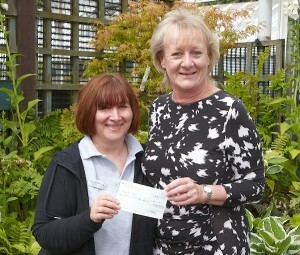 Giving back to the community in which we work is very much business as usual at Bypass Nurseries – and this includes supporting the work of a charities selected by staff each year. We’ve supported a wide range of charities over many years, raising over £400,000 and helping them to raise their profiles by working with us on-site. Our main charitable activities are based on our annual Spring Festival and Christmas Charity Evenings – but we are busy all of the time supporting our nominated charities and local causes in many different ways. Our Christmas 2014 events supported East Anglia’s Children’s Hospices. The fantastic work at East Anglia’s Children’s Hospices was the reason we chose them as our charity to support during our Christmas 2014 events. We were delighted to raise a total of £650 from our popular Christmas Charity Evening held at the end of November, including a fantastic contribution from the proceeds of sales of beautiful knitted items made by our friendly Knit & Natter group (Mondays from 10:00-12:00). 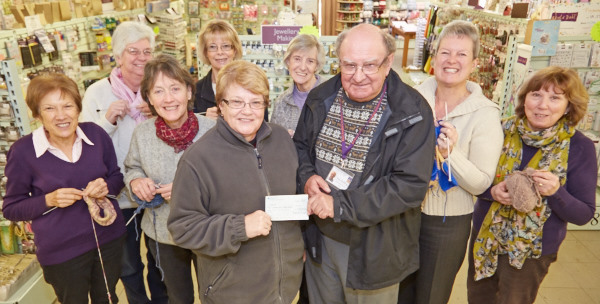 Here are the Knit & Natter group presenting their cheque to EACH’s Tony Golding. Papworth Trust – a leading disability charity which supports nearly 40,000 individuals in Suffolk and the East of England – was the charity chosen by our staff this year for support from our annual Spring Festival. We are extremely proud to have raised over £1,400 during the festival, and we were delighted to present a cheque to Jo Revitt from Papworth Trust recently. Our Christmas 2013 events supported Gt Ormond Street Hospital. Our Christmas 2013 events raised vital funds for our chosen beneficiary, the wonderful Gt Ormond Street Hospital. We were delighted to raise over £500, with £124 coming from the raffle of a beautiful throw and cushion cover set created by members of our friendly Knit & Natter group (Tuesdays from 10:00-12:00), and the remainder from our popular Christmas Charity Evening held at the end of November. 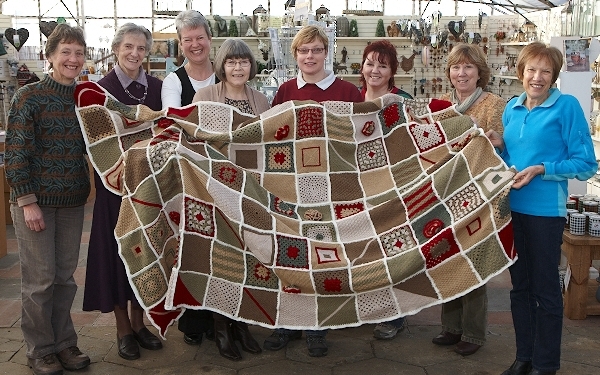 The lucky winner of the throw and cushion cover set, Beverley Talbot – pictured here collecting her prize with members of the Knit & Natter group – was drawn on Christmas Eve. Our fabulous 30th annual Primrose Festival proved a winner for our 2013 charity Home Start South Suffolk and District. We were delighted to help raise close to £600, with over £300 coming directly from the sale of our beautiful primroses throughout the duration of the festival. 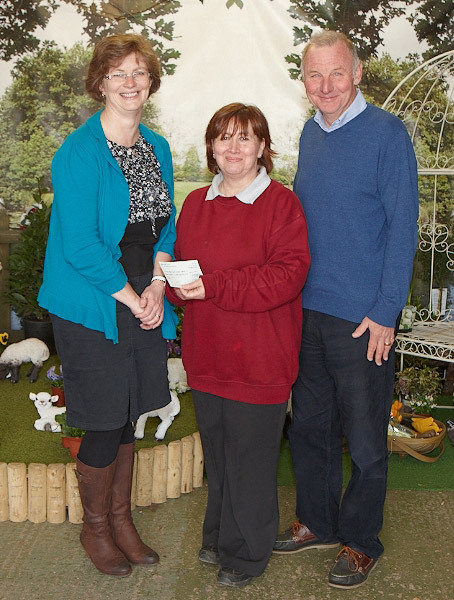 We were very pleased to present a cheque to Sarah Mann and Lance Spraggons from Home Start South Suffolk and District recently. Although part of the national Home Start network, the South Suffolk and District branch is self-financing in carrying out their work supporting local families – and we are proud that our donation will contribute to training even more volunteers to provide this valuable service. Based in Leavenheath, SESAW is devoted to the welfare of needy animals, providing re-homing, fostering or full-time residence for cats, dogs, rabbits, fowl and pasture animals. Two of SESAW’s re-homing success stories were photographed posing in a carpet of wild primroses at our growing nursery – both were rescued and re-homed by SESAW; they now live in a caring home environment.